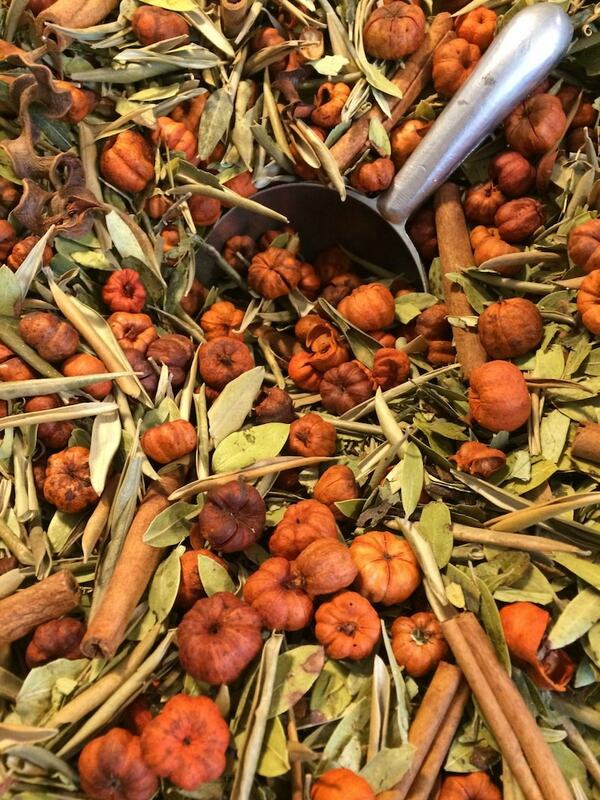 Our Pumpkin Potpourri is a warm buttery scent that smells like a Pumpkin Roll fresh out of the oven. A nice mixture of Rich Pumpkin butter with Anise, Cloves, Nutmeg and other great Spices. 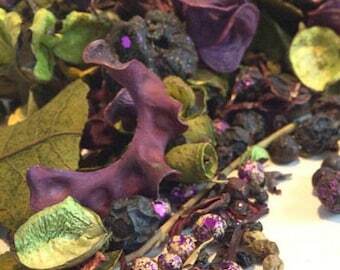 Topped with our famous orange Pumpkin Berries this is a great looking and lasting potpourri . HOW DO WE MAKE THESE? 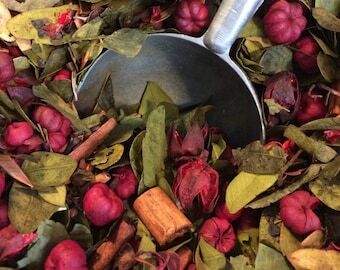 We wild harvest most of our potpourri from the woods of Northern Michigan, seek out our local gardeners, and pester our out of state relatives for their fields and flowers too. 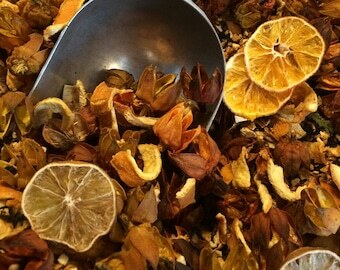 Then I dehydrate these fresh picks, add herbs, spices and essential oils, then package them off to you. 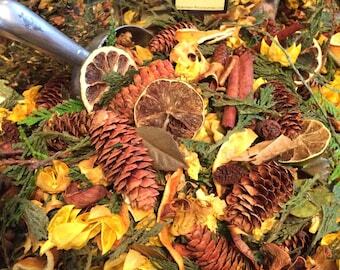 All of our potpourri varieties are made the same season you buy them and packaged the day we ship them. No year long shelf sitters here. 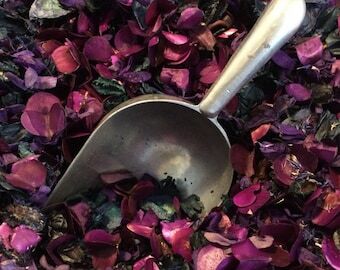 We use fresh dried botanical's, real fruit, spices and a high grade essential oils, so our scents last much much longer than your average commercial potpourri. Each variety naturally lasts anywhere from 3 months - to a year. 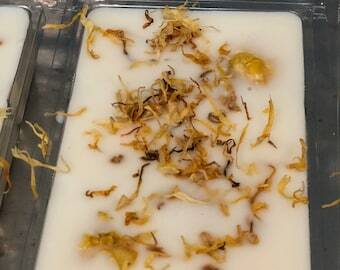 Our Lemon cake being the shortest and Pumpkin as one of the longest lasting before it needs a little refresher oil. HOW MUCH IS IN A BAG? 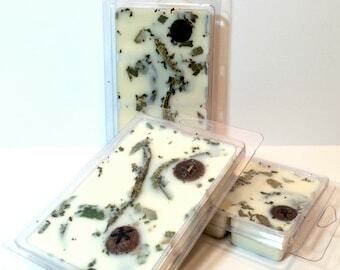 We hope you enjoy these scents as much I enjoy making them for you. If you have any questions please call me or e-mail me. 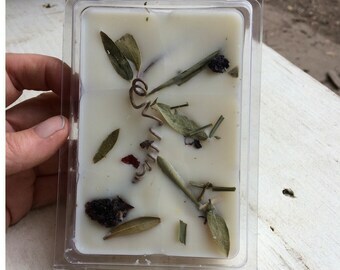 Smells amazing and looks great. Love the little pumpkins.